Speaking at a conference in Morocco France’s Foreign Minister Laurent Fabius said that evidence found during operations against militants in Mali indicated that members of Boko Haram had trained with Al Qaeda in the Islamic Maghreb (AQIM). Fabius said that this raised significant concerns about interaction between militants in Africa’s Sahel region, where France is currently heavily engaged. The US has also provided and is likely still providing support to these operations. 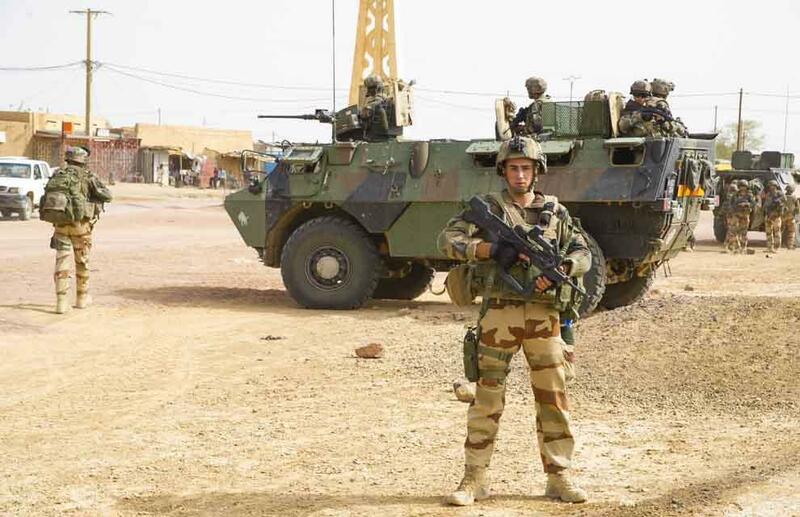 French forces conducting operations in Mali, circa July 2013, as part of Operation Serval. The claims by Fabius come as France’s chief of their defense staff, Admiral Edouard Guillaud, gave a rare interview to Europe 1 radio, in which he announced that those responsible for the killing of two French journalists earlier in the month had been “neutralized.” Admiral Guillaud did not say whether this mean they had been killed or captured during the operation said to have been conducted against a single pickup truck west of the town of Tessalit in Mali’s restive North. France has been conducting operations in Mali since January, when it launched Operation Serval. France has over three thousand personnel currently conducting operations against insurgents in Mali, with a desire to reduce that to between two thousand and twenty-five hundred by the end of the year. The current French goal is to reduce the force to one thousand individuals by February 2014. However, this had already been delayed one month and could be delayed more due to concerns about the ability of the UN peacekeeping forces to take over. Currently, the UN mission in Mali has only half of its mandated strength of over twelve thousand. In addition, in his interview, Admiral Guillaud suggested that French forces in the region should be allowed to conduct broader operations beyond Mali’s borders. French public opinion is already divided on the Mali mission and would likely be divided about any potential increase in the scope of active counter-terrorism operations in the Sahel. This entry was posted in Uncategorized and tagged AQIM, Boko Haram, France, Mali, Operation Serval, Sahel. Bookmark the permalink.